We've re-posted the blogs from our original website. 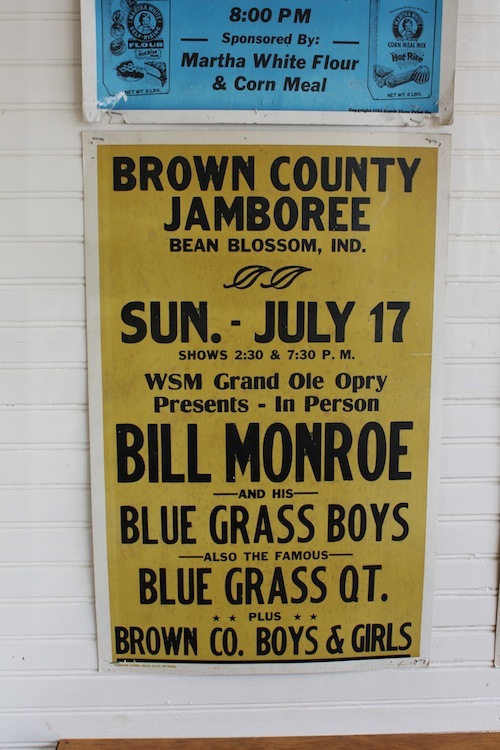 These feature posts and images from our 2011 American tour which took us from North Carolina to Tennessee over the Great Smoky Mountains; from Virginia to West Virginia to Clifftop and the fiddlers of Galax and beyond; and through Washington up to New York. Enjoy. It’s the wettest day in New York for years. The city has officially broken its one-day rainfall record. The rain falls in big plump drops that burst on your skin like ripe fruit. But unlike its Irish counterpart the rain here is warm. Walking through it is comforting. That is until you go inside and the blast chiller of the air conditioning hits you. Last night we were overlooking the Hudson from a hilltop view on the Jersey side of Upstate New York. A full moon was breaking over the horizon and between ourselves and Brendan Anthony we were keeping a small group of friends entertained with a few songs and tunes. The craic was good. You're From New Jersey - What Exit? Willie Nelson said it best, “On the road again, just can't wait to get on the road again, the life I love is making music with my friends.” We’re on the last leg of our trip and heading to possibly one the greatest towns in the world, New York – and that’s saying something for a guy who comes from Crossmaglen! Wednesday is a big push, the longest drive of our trip. We’re making our way to Washington, the halfway point on our journey to New York. It’s a four and a half hour drive and with stops takes us about an hour longer. It’s Tuesday morning and we’re having a lazy start. We grab a coffee or two in the Black Water Loft and catch up on our emails, blogs and facebook. That’s modern life for you. Two young kids come in for some ‘pop’; one wears a bright yellow and green t-shirt – ‘I’m so Irish I Shyte Green’. We’re impressed. Sunday morning and we set out with no particular place to go. On the journey to Clifftop yesterday we had passed through many small towns and got a real insight into the day-to-day life here. Some of these towns are barely even that. They have no footpaths, lights, or anything much of what you’ld consider necessary to a modern conurbation. Instead the small wooden houses sit just off the road, with their lawns coming right up to the tarmac, unfenced. The drive to Clifftop, West Virginia takes four and a half hours. We’re booked into a motel somewhere beside a small town called Dawson (Catherine is very excited) and the journey here has mainly been on the interstate. It’s beautiful none-the-less. As we’ve driven steadily north the greens have become darker and there are still the steep climbs and rapid drops into valley after valley. Oh Me O My O! It’s Friday night and we’re going to see Gillian Welch and Dave Rawlings. We couldn’t believe our luck when she released her first albumn in eight years in July and subsequentially announced a North American tour for the following month. They’re in North Carolina the week we’re here and playing Asheville’s Orange Peel tonight. Friday morning and we have to do the needful; do the washing, organize how we’re going to get to Clifftop tomorrow, and book some accommodation for the weekend. I pop into town to meet one of the musicians from the old-time jam the other night. Over more chat about music, I’m given a syllabus of who to study over the next few years; people like Tommy Jerrell, Fred Cockerhan, Esker Hutchins. It’s Thursday morning and we’re tired. We’ve got to be in Bristol Tennessee by 6pm to open for country musician James Meadows and we’ve already passed noon. So it’s a quick jaunt into town to have a walk around and stretch the legs. The girls head off for some clothes shopping. I scoot into a record shop and begin to trawl through their lp section. 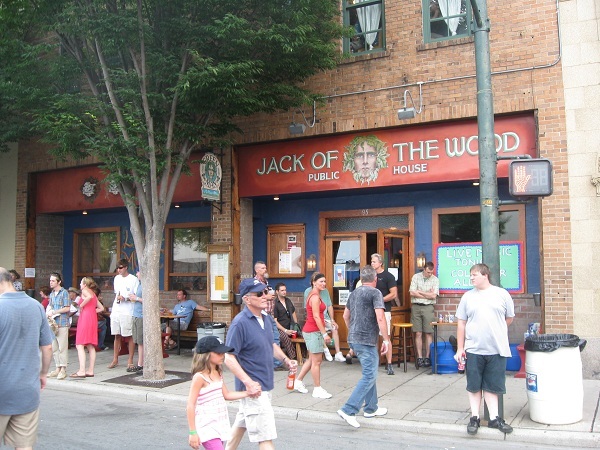 Wednesday night we head back into Jack in the Wood in Asheville to catch the old-time music session. We’re late (the girls getting changed!) but manage to catch the musicians. There are two fiddle players, and a guitar player up on the same stage as the singer/songwriters of the other night. They’re seated around a stool that has two pitchers of beer on it and a variety of glasses in various stages of consumption. It’s Wednesday morning and we’re up and about early. We’ld stocked the fridge yesterday with all a body could need first thing. So after a quick bite to eat we’re out on the road again, off to see some of the sights. On our journey from Greensboro yesterday the weather forecast predicted this to be the hottest day of the year so far, so we want to head for some greenery and water, plenty of water. We arrived back in Asheville on Tuesday night pretty late and tired. We finally manage to find our accommodation; a small but perfectly formed self-catering chalet on the hills overlooking Asheville’s Downtown area. Although it’s late and it feels like we’ve been driving forever we dump our stuff and make one last push to hear some music in town. Our destination is the ‘Jack of the Wood’ pub on Patton Street. We arrive in downtown Knoxville just before 10am. On the way we’ve passed signs for Bristol (we’re playing there Thursday) and Dollywood. The heat is scalding. Even at this early hour we have to walk on the shady side of the street to help cajole those degrees downwards. We pop into a café and make a quick change in the restrooms (toilets to you and me). After all, we’ve got to look good; we’re going to be on radio! It’s 3am and we’re up and about in the quiet night. The only other person around is the night porter of Greensboro’s Biltmore Hotel, a graduate from Chicago who decided to stay here after college. Last night we had met Jen, another blow-in (as we say) from further afield who had come here and made Greensboro her home. We had met her in The Green Bean Café and struck up a conversation over some locally brewed (Asheville) Gaelic Ale, a sweet hoppy brew emblazoned with a Scots man in a kilt. Booking a taxi in London for an early morning pickup is a bit like waiting on a blind date. You’re never quite sure if they are going to turn up. Perhaps they’re lurking somewhere in the distance checking you out, willing to ditch the red carnation if you don’t appear up to scratch, or more likely, as in our case, they simply forget to come. Trying therefore to then hail a black cab at 5am is no mean feat. Hi and welcome to the Mariah Wade Blog. We decided to start this page to document our forthcoming journey through North Carolina and up to New York. 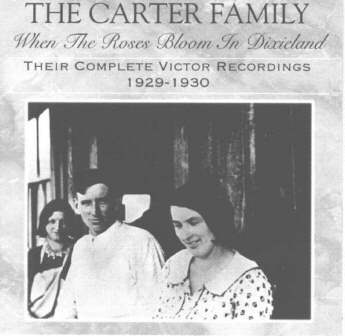 Along the way we hope to share some of our own music with those we meet and see if they have their own versions of it. We'll also be playing at a few jams, singers' nights, concerts and gigs. We'll keep the 'Shows' page updated so do try and hook up with us if you can. The first posting will be in the first week of August. Hopefully we'll get some images up as well as some video. Stay Tuned!